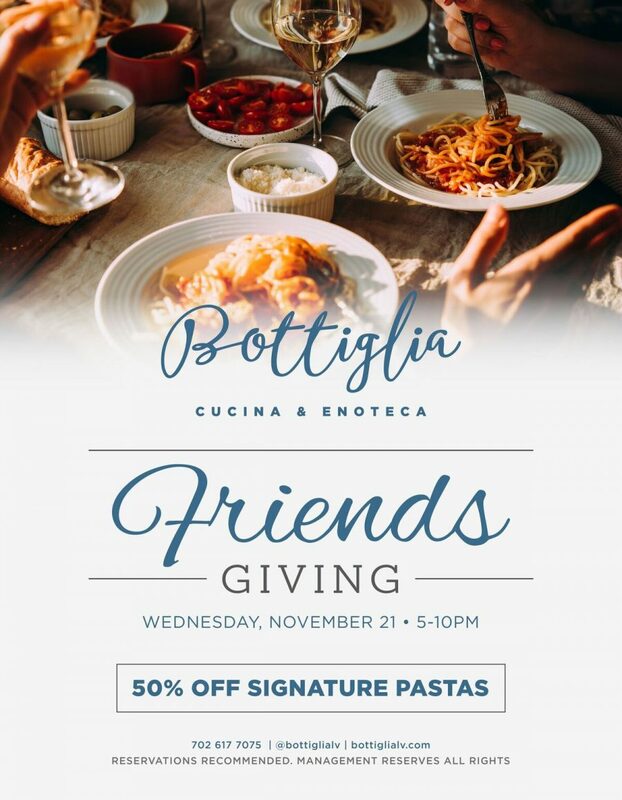 There’s no better way to spend your Thanksgiving than with great company and amazing food – and we’re offering both at our Friendsgiving here at Bottiglia. Not only will you feast on some of the best food around, but you’re welcome to bring your family, your closest friends, and anyone else special in your life. We’ll all celebrate the holiday together in a special gathering – with an equally special deal. On Wednesday, November 21st, join us for a very special event. From 5:00 pm until 8:00 pm, we’ll be offering an unbeatable deal of 50% off of our signature pastas, and we would love to have you join us. This is the perfect opportunity to enjoy a delicious meal at your favorite restaurant, or to introduce your friends and family to Bottiglia for the very first time. Need more reasons to attend Friendsgiving? Here are just a few. Delicious pasta and at a 50% discount? That’s our gift to you this holiday season. During Friendsgiving, you can choose from some of the most popular and delicious signature pasta dishes on our menu. If you’re looking for something on the lighter side, our Rigatoni and Cherry Tomato is a must-have. Topped with mozzarella and basil, this dish packs plenty of flavor without heavy sauces or meats. For something a bit more indulgent, try our Spinach Lasagna. A blend of ricotta, basil, and mozzarella makes this dish rich and delicious. Our Rigatoni Sausage is another popular choice. This dish features broccoli rabe, Calabrian chili, and ricotta, giving it plenty of flavor. Ready to indulge? Our Wild Mushroom Tagliatelle and King Crab Bucatini are both excellent choices. These dishes are rich, flavorful, and bound to tempt everyone in your party to taste-test off of your plate. 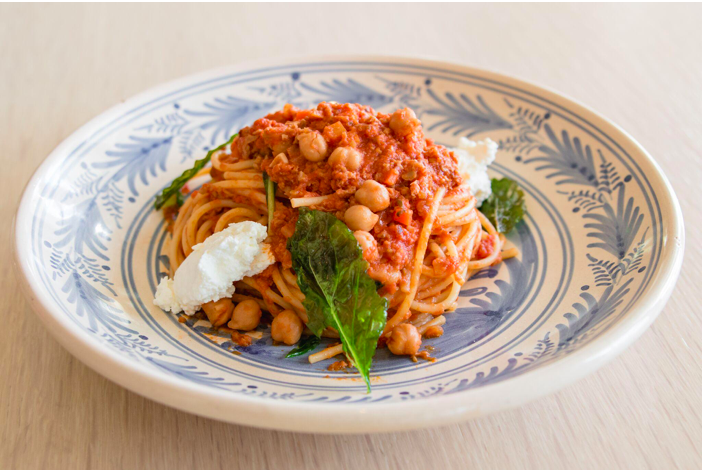 We also offer a wonderful Vegan Spaghetti Bolognese that incorporates chickpea Bolognese and almond ricotta. Even with dietary restrictions, we’re still able to deliver delicious flavor and a satisfying dish. The only thing that will make your meal even more tasty? Knowing that you’re getting it at a significant savings. Holidays have a way of getting away from us, and it seems there’s never enough time to spend it with all of your friends and family. If you know that you’ll be traveling from one house to another to see family on Thanksgiving, our Friendsgiving will give you a chance to spend some valuable time with friends and relatives who you might not see on the actual holiday. Have friends and family visiting town? Avoid hosting a meal at your house, and all of the prep work and cleanup that comes with it. Instead, when you have Friendsgiving at Bottiglia, you can sit back, relax, and enjoy the meal. There’s no being tied to the kitchen, no battling a busy grocery store line, and absolutely no meal planning, recipe searching, or stress. You’ll have more time to enjoy the Thanksgiving traditions that matter to you, making the holiday a memorable one. At Bottiglia, we bring together the freshest ingredients and a breathtaking ambiance to create amazing cuisine in an ideal dining atmosphere. Our sophisticated Italian fare is approachable and full of flavor; these are the kinds of meals that your entire family can enjoy. 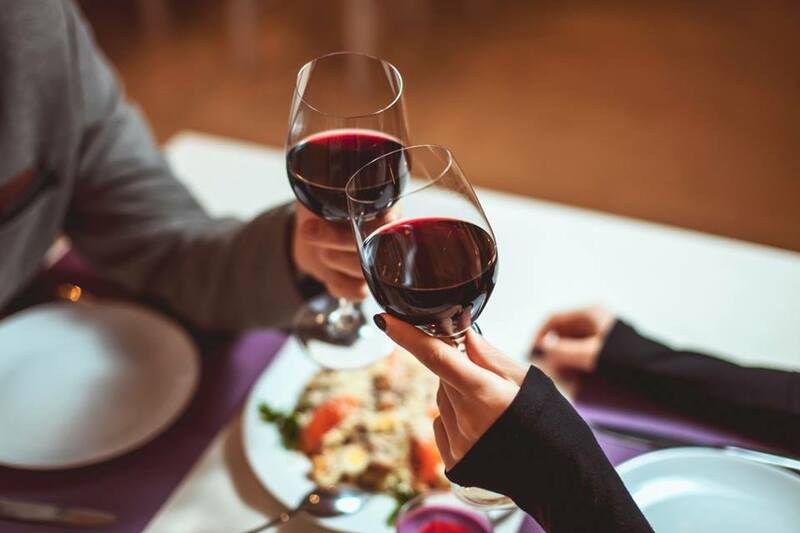 With a robust wine list hailing from Napa/Sonoma, Italy, France, and even all over the world, you’ll have plenty of choices. But, rest assured – any choice you make here at Bottiglia will be a good one. We know that money gets tight around the holidays, so that’s why we’re offering our special discount Friendsgiving this November. It’s our way of saying thank you to all of our supporters. While you may be dealing with a hectic schedule and all sorts of extra expenses from the holidays, we hope Friendsgiving allows you to slow down, enjoy a great meal, and do so with the peace of mind that you’re saving some money while treating your family or friends to this special experience. By now, you’re surely convinced that Bottiglia’s Friendsgiving is the perfect place for your holiday gathering. We’d love to have you join us, but because we’re anticipating a large turnout for this event, we’d recommend making a reservation ahead of time. Contact us at 702-617-7075 and we’ll be sure to reserve a space for your party. Friendsgiving is right around the corner, so make your reservation today and we’ll see you on Wednesday!